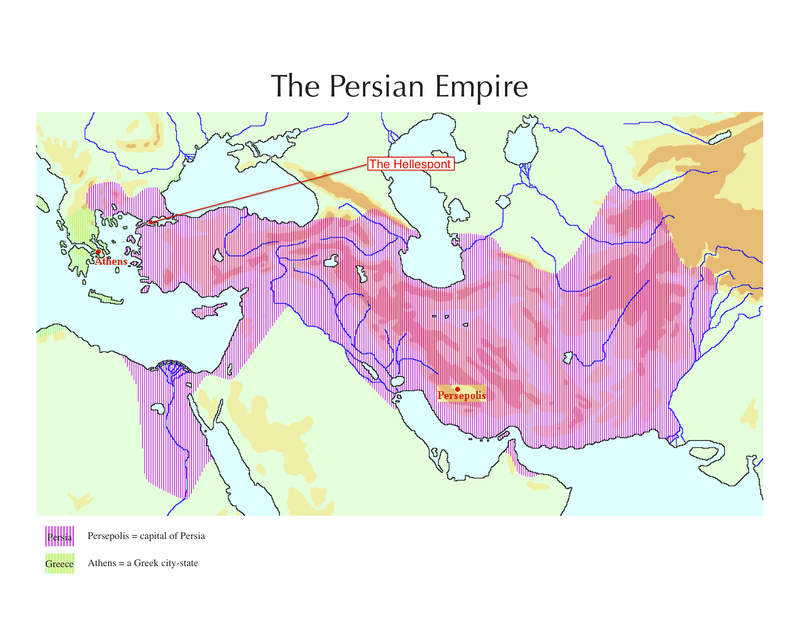 Map: The Persian Empire, c. 480 B. C.
Text: Herodotus, The Histories, “The Persians discuss three types of government” (Book III, 3.80 – 3.82). STUDENT: Why does Persia have all the land? Did they conquer, steal, or buy it? How did they get it? S: Persepolis might have taken over Athens. TEACHER: What makes you think that? S: It looks like it’s trying to expand. S: Athens. It’s expanded to some islands. 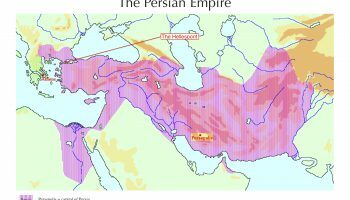 S: [Another student, contributing a different perspective] Right now the Persian Empire is a lot bigger and more powerful. S: One is so big and one is so tiny and nothing’s going to happen? For more Student Responses, click View More in the dark teal tab above. 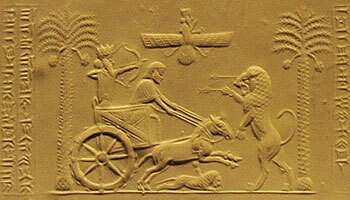 S: Persia’s covered so much land — it must be a very powerful union or country. T: Talk more about that. What makes you say that? S: It wants to rule, to be big and powerful. S: They seem like they want a lot of land. … Why do you need so much land? S: It seems like what she said — getting more and more land — but why does Greece have less land? … I’m wondering how long they’ve been going like this. It seems like they could expand more. S: What Sandra said — that they’re trading — I don’t think they are. It seems like they want to fight over land. S: I can see why she thinks that — it looks like Persia’s trying to move in. S: He wants a few rulers — himself, basically. S: I also think another reason he doesn’t want democracy is that once you’re in power you don’t want to give up that feeling of control. S: On the map, Persia has the most land. They want a new king so they can take over Athens.